GAISF Senior Vice-President Raffaele Chiulli will stand unopposed for the GAISF Presidency after the period for nominations closed on Wednesday 10 April, 2019. Chiulli has a wealth of experience in sports administration, having served as International Powerboating Union (UIM) President since 2007 and Association of IOC Recognised International Sports Federations (ARISF) President since 2013. He has been GAISF Vice-President since 2015, GAISF Senior Vice-President since 2016 and a member of the International Olympic Committee Sport and Active Society Commission since 2014. Away from sport, Chiulli is a university professor and businessman, specialising in the energy sector. As well as the presidential election, the GAISF General Assembly will be an opportunity to share the results from the good governance survey, present ideas for an exciting new project on sustainability, and to provide updates to the GAISF statutes. Further updates on the exciting plans for multi-sports games, including the upcoming World Urban Games Budapest 2019, will also be given. The GAISF General Assembly will bring the curtain down on what promises to be a spectacular SportAccord 2019. 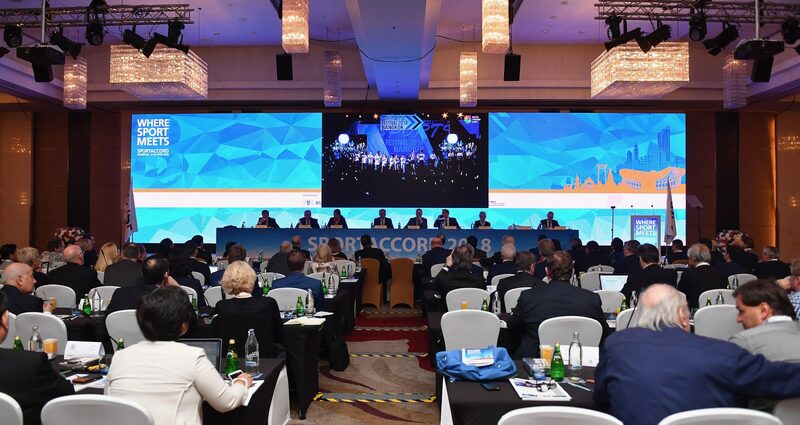 As well as the GA, SportAccord will once again play host to the Sports Festival, powered by GAISF, which is set to feature a number of International Federations (IFs). Now in its second year, the Sports Festival is a bridge between SportAccord and the local schools and residents of Gold Coast, creating opportunities for residents to try out new sports. In its inaugural year, the 2018 Sports Festival in Bangkok saw new National Federations created as a result, and it is hoped that IFs will once again take full advantage of the chance to engage with Australian stakeholders. The GAISF General Assembly will take place on Friday 10 May, from 9:00 AM – 1:00 PM local time (GMT+10).